On Sunday April 9, 2017, Capalino+Company Senior Vice President Tunisha Walker and Associate Vice President Safeena Mecklai sat down with Sandra Bookman, host of WABC-TV’s Here and Now, to discuss Capalino+Company’s new app, MWBE Connect NY, and how our firm works with Minority & Women-Owned Business Enterprises (MWBEs) to secure a larger share of New York City and State procurement contracts. 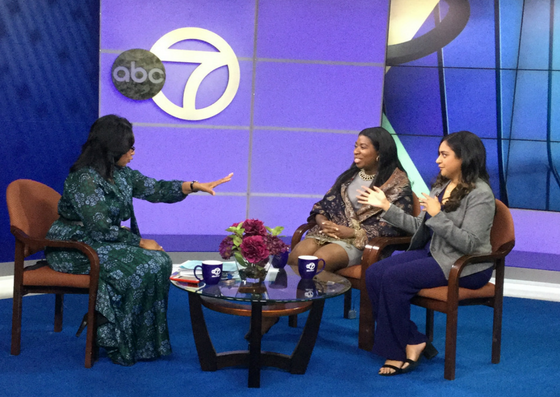 To watch the interview, visit: http://abc7ny.com/society/here-and-now-on-april-9-2017-app-for-minority-and-women-entrepreneurs/1847153/. 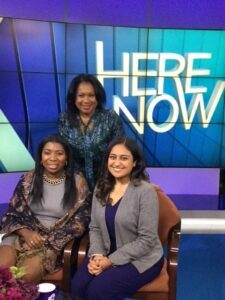 Here and Now is a weekly program covering the issues and interests of the African-American community in the New York Tri-State area. Bookman was thrilled to learn about MWBE Connect NY, which was developed to help foster economic growth within minority and women-owned business communities. “It’s one of those things that when you read about it, you wonder why somebody hadn’t done this before,” said Bookman. Time is money. Most MWBEs do not have the time or resources to search for government contracts, and many do not know that they are eligible. The MWBE Connect NY app connects users to Requests for Proposals (RFPs) and procurement opportunities that match their capabilities, desired geographic coverage and contract size. Capalino+Company created a revolutionary bid matching algorithm that aligns users with procurement opportunities and provides submission guidelines. Users also have access to a wealth of business development resources, including information about the certification process, a calendar of events and regular MWBE-related news updates. “There is a common misconception about what kinds of government contracts are out there for MWBEs. People assume these opportunities are mainly for construction services businesses, but the City and State put out so many professional services contracts every day. There are great opportunities out there for all types of businesses, from advertising and marketing, to IT services and human resources, so we’re trying to get the word out to these businesses and help them secure those contracts,” said Mecklai. With $16 billion worth of city and state contracts available over the next 10 years, Walker believes that the app will help MWBEs finally get their fair share and be a tool for government to meet their participation goals. MWBE Connect NY is brought to you by Capalino+Company’s MWBE Consulting Team. Please contact Tunisha or Safeena if you are a company looking to work with MWBE partners, or if you are an MWBE pursuing business opportunities in New York. MWBE Connect NY is now available in the App Store and Google Play stores. Visit www.mwbeconnectny.com or use the buttons below to download.